Weighty Matters: Toronto City Council sure loves their sugary soda! Toronto City Council sure loves their sugary soda! 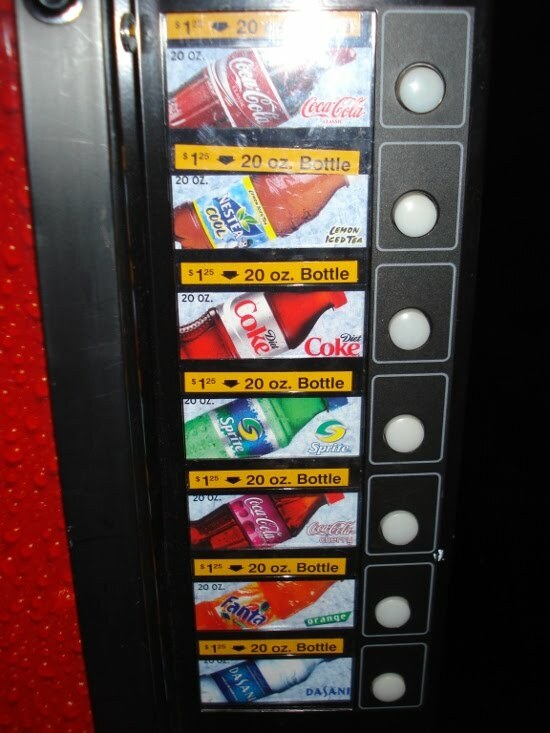 Toronto just rejected a proposal to ensure that vending machines in city buildings stop selling sugared soda and other sugar added beverages. "Once you get rid of all the sodas and the water, are you going to go after my butter tarts downstairs, too. I'm not being sarcastic. And the next step would be let's dictate what we should eat, what we can drive. Should we take the bus because it's not healthy to drive a car. Where does it stop? Where does the socialism stop." Um, councilor Ford, I think with a single payer health care system, it might actually be in the state's best interest to protect our health, and by the way, we do it plenty. We dictate that we must wear seat belts and helmets. We use disincentive taxation to discourage smoking and drinking. We have laws against jaywalking and drunk driving. Why do we have all these laws and practices? Because at the end of the day, we're on the hook as a country for the medical problems associated with poor choices. Now I recognize that the likelihood of banning pop in vending machines in city buildings isn't going to impact directly on our health care coffers, but I would have hoped that the city, and our government as a whole, would see value in serving as examples for the rest of our population. After all, there is no food with a more clear cut link to obesity than sugar sweetened beverages. Oh and Councilor Ford, guess what? Obesity is the number one preventable cause of death in Canada. Recognizing that and encouraging environmental change isn't socialism, it's survival, and it's something all countries should do when an obvious need arises. Without changing the world we live in, we're not going to see change. The problem with obesity today isn't a consequence of a sudden epidemic loss of dietary restraint and control. The problem is a consequence of the changes that have occurred to our world over the course of the past 50 years. Consequently, the problem is not going to be solved on an individual, one by one, willpower-based basis. This problem's going to need formative environmental changes that make healthier choices easier to make. We need to shift the default. Changes like ensuring vending machines not carry sugar-sweetened beverage, while far from dramatic, would be one teeny, tiny step of a very long journey, but it would still be a teeny, tiny step. When are we finally going to start walking? UPDATE (same day) - coincidentally the news just came out that Boston's going to ban sugar sweetened beverage sales on city property. Guess unlike Toronto's mayor, Boston's has foresight.